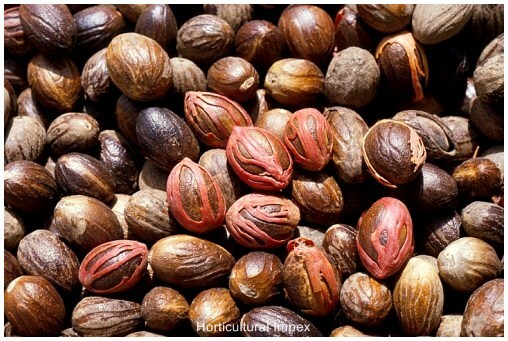 Myristica fragrans is a dioecious or occasionally monoecious evergreen, aromatic tree, usually 30-40 ft high, but sometimes reaching a height of 20m or more. 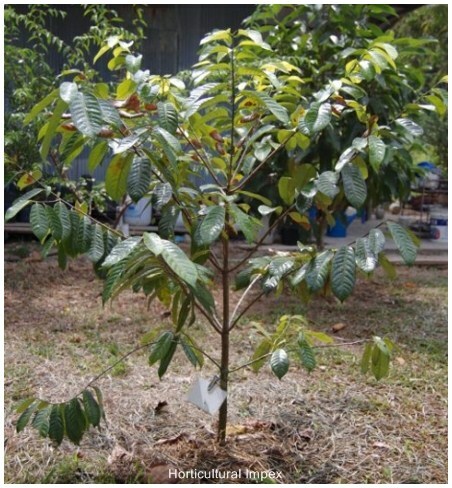 Bark greyish black, longitudinally fissured in old trees; leaves elliptic or oblong-lanceolate, coriaceous; flowers in umbellate cymes, cremy yellow, fragrant; fruits yellow, broadly pyriform or globose, 6-9 cm long, glabrous, often drooping; pericarp fleshy, 1.25 cm thick, splitting in 2 halves at maturity; seed broadly ovoid, arillate, albuminous, with a shell-like purplish brown testa; aril red, fleshy, laciniate. 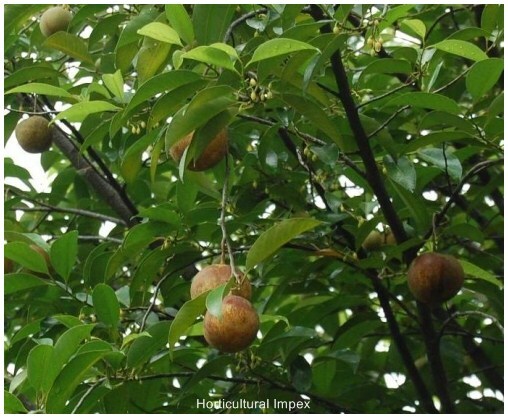 M. fragrans is a native of Moluccas, not cultivated in many tropical countries of both hemispheres. 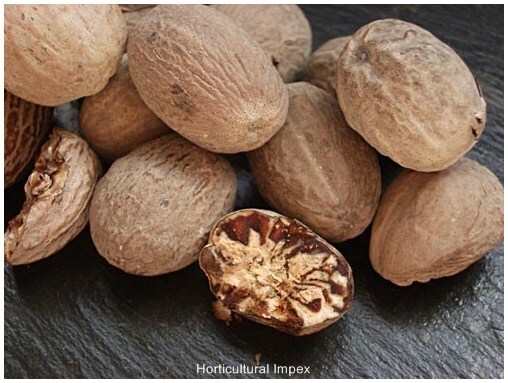 In India it is grown in Madras state (Nilgiris, Coimbatore, Salem, Ramanathapuram, Tirunelveli, Kanyakumari and Madurai districts: a few trees are found in various localities in Kerela, Assam and other states.